Create the ideal atmosphere for bedrooms & media rooms. 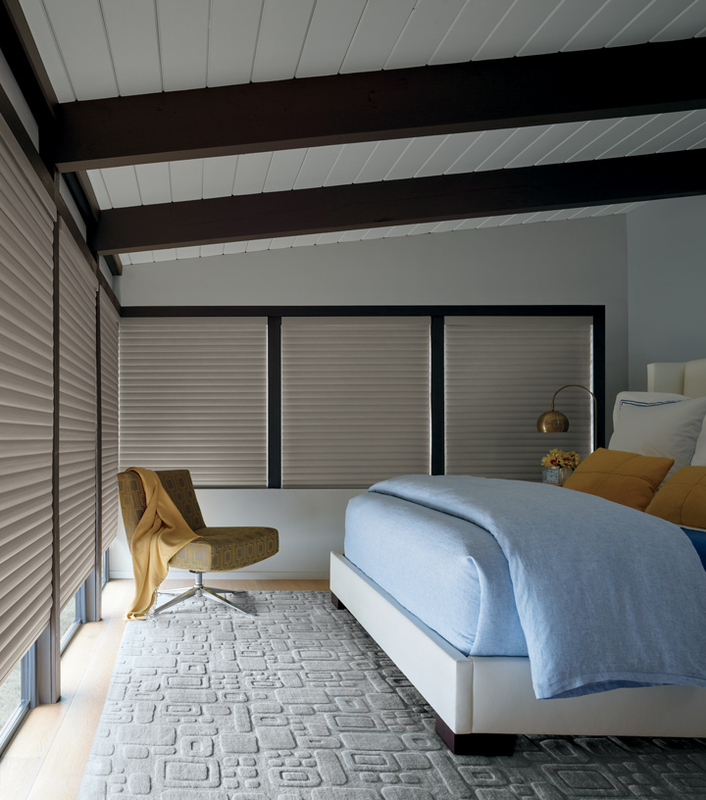 With the smallest light gap in the industry, Hunter Douglas room darkening blinds & shades deliver the darkness you need. Remove distracting light, no matter the time of day. Achieve the perfect atmosphere for your media room. Take a nap in the middle of the afternoon. It’s the ultimate light control.